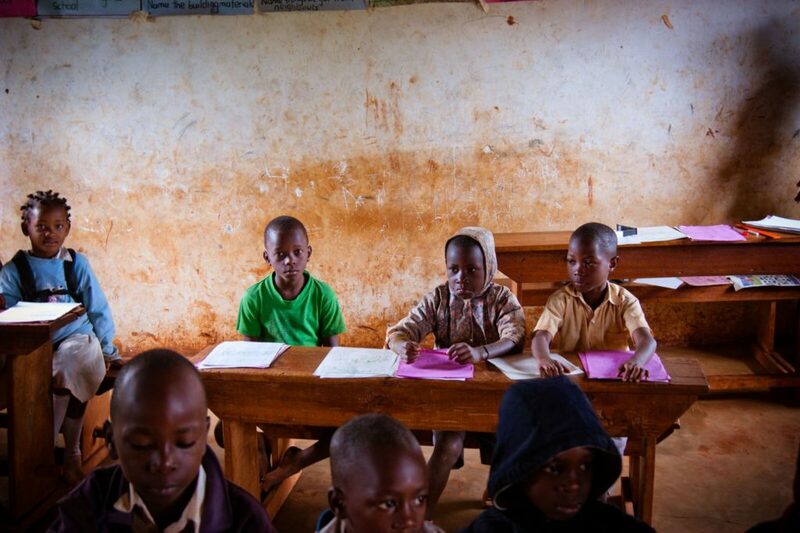 Making a positive difference in the lives of children in Uganda through Rock of Ages School. Sponsorship of each student at Rock of Ages School: Child sponsorships ensure that each student has everything they need to succeed throughout their education. Sponsorships cover the overhead costs of Rock of Ages School (ROA), a food program including a daily snack and lunch for all students, and medical attention as needed. Sponsorship continues through graduation from ROA and into secondary school where students are boarded on site at their respective campuses. Build a new school facility for Rock of Ages School: In 2016 Hands4Uganda purchased three acres of land and hired a Ugandan architect to draw plans for a new ROA facility. The plans were officially approved in 2017. By the end of 2018 the first required structures, the restrooms, were completed and the foundation was laid for construction of the primary school building! H4U is now focused on raising the necessary funds to finish construction the primary school building. Amiina lives with both of her parents and is the first born of four children. Her dad is a truck driver and is the sole provider of the family. Her mother cares for Amiina and her sibling, working to provide food for the family by cultivating a small garden. Amiina enjoys athletics, playing with dolls, and and singing. Registration of ROA with the Ugandan government as an official educational institution. Purchase of land for construction of a new school facility. The land is currently planted with various fruits and vegetables that are harvested to support the school lunch program. Distribution of hundreds of pairs of shoes, socks, and clothing along with hygiene items and mosquito nets to all students. 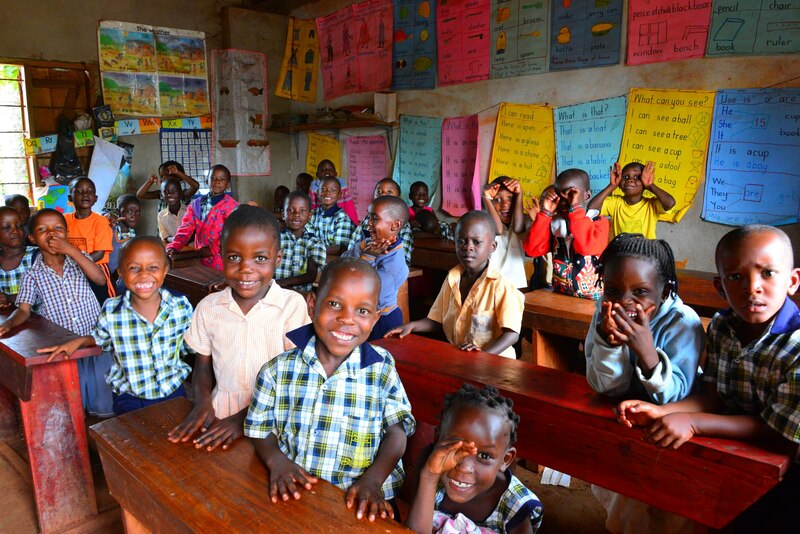 Rock of Ages School (ROA) is a nondenominational Christian school located in the small village of Mbiko, Uganda. 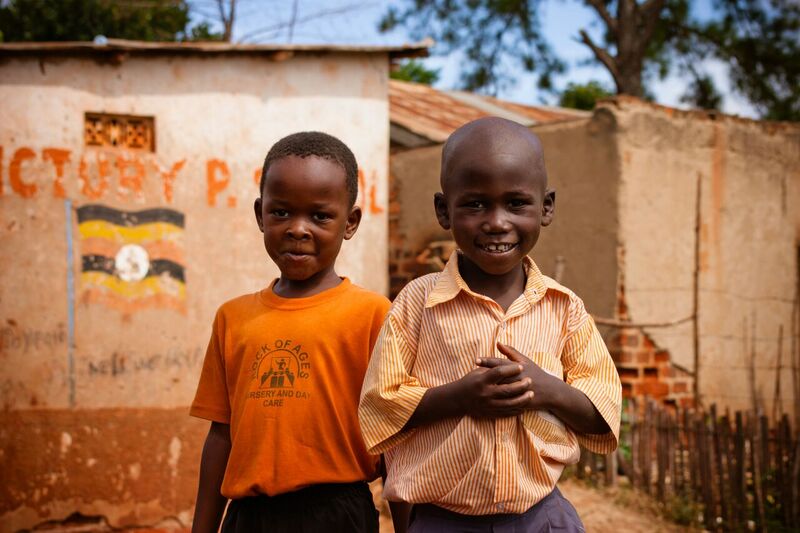 Hands4Uganda (H4U) hopes that each student will learn of God's love and be given the necessary tools to grow into educated, responsible adults. About 320 children, ranging from PK-3 through Primary 7, currently attend ROA. The average monthly income in Mbiko, for those who are fortunate enough to have a job, is around 3 USD per month. Education is not free in Uganda. While there are public schools there are many fees associated with attendance. When a small income means choosing between food and an education, many families simply cannot afford to send their children to school. H4U strives to ensure that the choice between a meal and an education no longer needs to be made, as all children deserve an education.